I make a fresh installation of Linux mint 18 cinnamon. I install cairo dock but don't let me configure the items on the menu. I make right click on cairo app menu and click on configuration menu. I unmark "Ayuda", "Calculadora" and "Lector de pantalla" but still on the menu. I check on cinnamon menu and there's no items. So I going to check the cinnamon configuration menu and there's the same menu! What's happening here? I want to configure what items I show on cairo. The menus of cairo ain't good neither. There's accessories and utilities when only has to be accesories, and two folders of preferences and administration, when that folders are on system tools too. I found the config file for cinnamon menu. Well I found a solution..I post for somebody who need it because there's not much information about this issue. With this menu the config is for both sides, cairo and cinnamon. If you got another desktop try installing kmenuedit,ezame or alacarte. It looks to me like you've got the Mint Menu on the dock itself. Cairo-Dock can't configure specific menu items or the Mint menu itself. Cairo-Dock can only configure what you place on the dock. 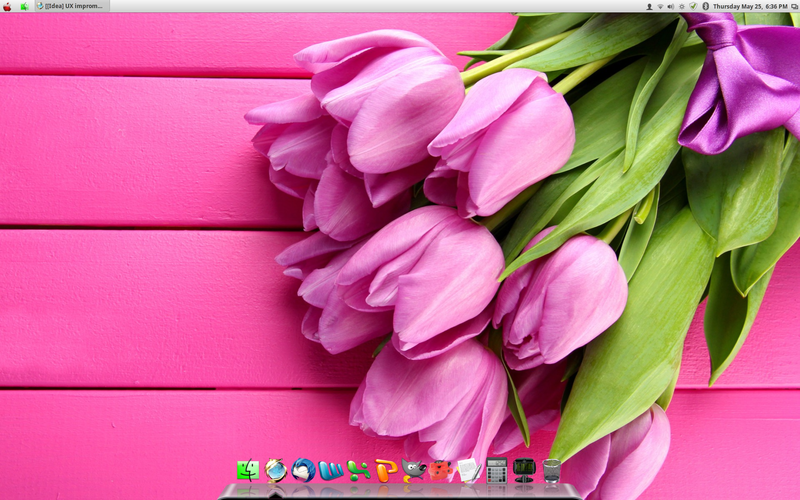 If you right-click the dock (not an item), choose Cairo-Dock > Configure. If you want to configure the Mint menu then yes, something like MenuLibre is your best choice. I know that Cairo-Dock works fine in Cinnamon. Here's my Mint 18.1 desktop.